Washington, D.C. (January 28, 2019) — Today, the Fiber Broadband Association (FBA) welcomes Render Networks as a new member. Render Networks (Render) is a network construction software company focussed on innovating the way fiber networks are delivered. Render's technology enables network owners and builders across the United States, Australia and New Zealand to revolutionize large-scale deployment and vastly reduce construction durations and cost, with recent US projects realizing efficiencies of over 50% when compared to traditional approaches. "The entire team at Render are thrilled to join the Fiber Broadband Association, and see this partnership as pivotal to realizing our mission of Building Networks Better across the United States,” said Sam Pratt, CEO of Render Networks. “We look forward to getting to know you all and collaborating with the FBA membership to connect communities faster and more efficiently than ever before." The Fiber Broadband Association is the largest and only trade association in the Americas dedicated to the pursuit of all fiber optic network infrastructure to the home, to the business and to everywhere. 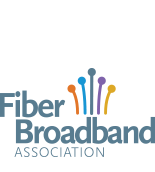 The Fiber Broadband Association helps providers make informed decisions about how, where, and why to build better broadband networks with fiber optics while working with its members to lead the organization, collaborate with industry allies and propel fiber optic deployment forward. Since 2001, these companies, organizations and people have worked with our communities and consumers in mind to build a better broadband future here and around the world. Learn more at www.fiberbroadband.org. Render is a geospatial work management platform that enables network owners and builders across the United States, Australia and New Zealand to revolutionise large-scale deployment. Utilizing today’s technology and the power of automation, Render delivers increased control and visibility for all stakeholders and improves productivity across the project lifecycle.